Each year, the European Research Council (ERC) bestows funding grants for a selection of research projects across the continent. For the 2016 call, two projects from the Physik-Department of TUM have been selected. 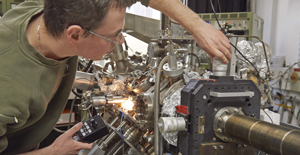 The highly endowed ERC grants count among Europe’s most prestigious research funding awards. This year’s projects as “Consolidator Grant” and “Proof of Concept Grant” carry out research in the field of biophysics. 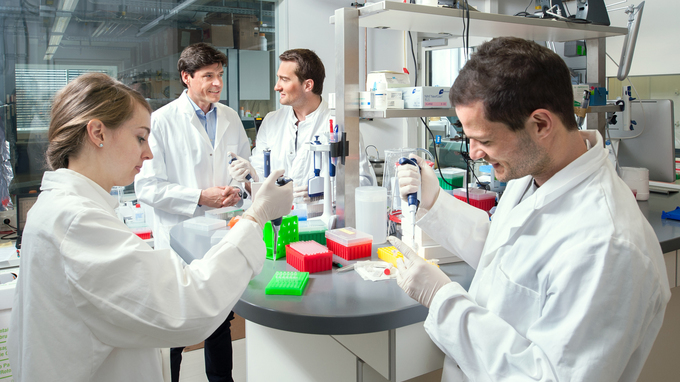 Since 2008, TUM researchers have been honored with 71 ERC-Grants. Almost one fourth of them, namely 17, have been won by researches at the physics department. 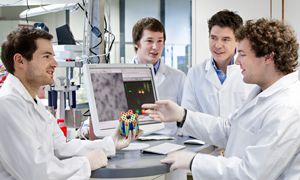 There are several categories of ERC Grants: Starting Grants are intended to support promising young researchers at the start of their careers; Consolidator Grants are targeted to researchers seven to 12 years after the completion of their doctorates; Proof of Concept Grants are awarded to scientists ready to test the market readiness of the research they’ve conducted previously with ERC grant support. DNA Origami is exactly what the name implies. Similar to the way in which the traditional art form of origami uses paper folding to create intricate shapes and designs, DNA origami involves the folding of organic DNA material into complex, nanoscale 2D and 3D shapes. Professor Dietz and his team conduct research into how to build DNA origami motors, machines inspired by mechanisms occurring in nature, such as in the flagella of certain bacteria. The goal of research: to achieve directed movements with these motor units. In the future, these motors could be of practical use in nanotechnology, for example to actively propel nanoscale drug delivery vehicles. Professor Dietz obtained his doctorate at TUM in 2007, subsequently worked as a post-doctoral researcher at Harvard Medical School, and has been a professor of experimental biophysics at TUM since 2009. He is a Carl von Linde Senior Fellow with the TUM Institute for Advanced Study (IAS) and previously received an ERC Starting Grant for his work into DNA origami in 2010. Liquid handling is an integral part of biological and medical assays. For many applications the method of choice is manual pipetting – although it is user-time intensive and prone to sample handling issues. While liquid handling robots do exist, they are large and expensive instruments, targeted for high-throughput applications. This leaves, in practice, most research and diagnostics without an automated solution. Within the ERC-funded project SelfOrg Professor Andreas Bausch and his group developed a small automated liquid handling (AutoLiqHand) device for individual users. The microfluidic-based platform automates biomedical experiments and diagnostic routines. Moreover, its unique design enables it to run in a much larger range of biomedical settings than existing solutions – and at the fraction of the cost. The Proof-of-Concept project aims at the adaption of the AutoLiqHand platform to market needs and optimizations easing its production. After studying physics at TUM and the Université de Montréal, Andreas Bausch received his doctorate at TUM in 1999. An Emmy Noether scholarship enabled him to study at Harvard University (Boston, USA). 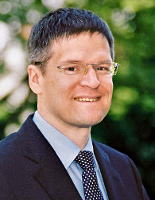 Since 2008 Prof. Andreas Bausch holds the Chair for Cellular Biophysics at TUM. His research is devoted to the quantitative understanding of the mechanical properties of the cytoskeleton and the microscopic mechanisms of self-organization. A further research focus is the identification and physical characterization of new biomimetic materials.